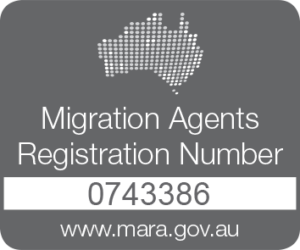 Let’s Migrate To Australia is a migration agency registered with the Australian Migration Agents Registration Authority (MARA) and a member of The Migration Alliance-Australia. We have been operational since 2007, and have a wealth of experience in the Australian Migration Law. We follow the Migration Agents Code of Conduct. We specialize in skilled migration, student visas, Australian employer sponsorship visas, family migration, business migration, visitor visas and parent visas. Each applicant needs to meet the visa criteria under Australian immigration law. The Australian immigration program places a strong emphasis on attracting skills. Immigrants must be of use to the Australian economy, either as skilled workers or as business people. The immigration program also provides visas for reuniting individuals with close family members. Our aim is to provide a cost effective, simplified visa and immigration service for individuals and businesses that do not have the time or resources to make an application themselves. We take the confusion and frustration out of the immigration process. Our principal consultant, Jane Njomo is a Registered Migration Agent (RMA) with the Australian Migration Agents Registration Authority (MARA No 0743386) and she is based in Australia. She personally oversees all of our clients’ cases ensuring that you will get professional advice and quality service. Having migrated to Australia from the Kenya herself she has very valuable firsthand experience of what migrating to Australia involves. We deal exclusively in advising and assisting you from anywhere in the world to obtain Temporary and Permanent residency visas to Australia. We only accept cases where there is a high possibility of success.